Make the fashion statement with Jean Yves Black Savoy. 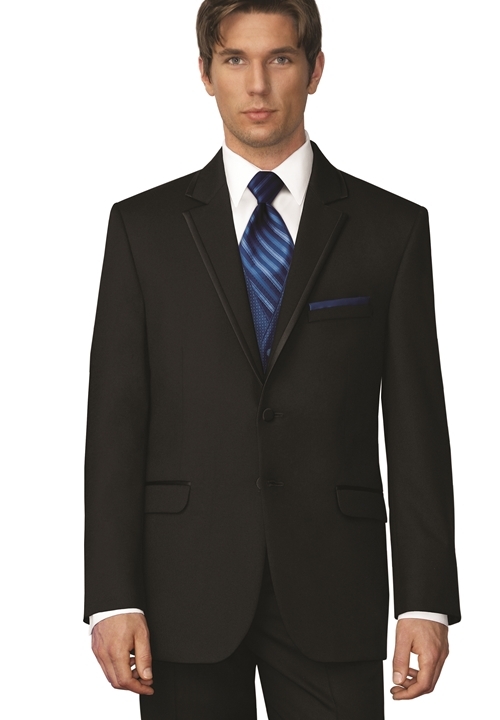 The Hollywood look is within your reach with this trendy tuxedo coat. It is accented by two buttons on a single breasted front, self notch lapel and collar with black satin trim, self flap pockets with black satin trim, and is fashioned from super 100s wool. If you want to go in style and get noticed for your fashion savvy, this coat is the way to go.